Buckner grew up in Napa, CA, and was drafted out of high school in the 2nd round of the MLB draft by the Los Angeles Dodgers. His first manager was Hall of Famer Tommy Lasorda. Lasorda would later manage the Dodgers, but even as a minor league skipper, he had a way with players. Lasorda had his young players believing they were ready for the majors. Buckner first made it to the majors with the Dodgers in 1969 at the age of 19 and was hitless in his one at-bat. He won a permanent starting job in 1971. He split time in the outfield and at first base, hitting .271 with 5 HR and 41RBI. In a five-player deal in 1977, Buckner and Ivan DeJesus were traded to the Cubs for Rick Monday. The move also saw Buckner shift primarily to first base. Buckner enjoyed success with the Cubs, winning the National League batting title in 1980 after hitting .324 and playing in the 1981 All-Star game. He also led the league in doubles twice in 1981 and 1983. Early in the 1984 season, the Boston Red Sox were in the market for an upgrade at first base. On May 25, they acquired Buckner from the Cubs for Dennis Eckersley and Mike Brumley. The Red Sox were 19–25, and in sixth place in the American League East at the time of the trade, and improved to 67–51 the rest of the way to finish the season in fourth. Buckner appeared in all 162 games for the Red Sox in 1985, and batted .299 with sixteen home runs and a career high 110 RBIs. Buckner was a prototypical contact hitter, and struck out just 36 times in 718 plate appearances to lead the league in that category (he also led the league in most at bats per strike out in 1980, 1982 & 1986, and placed second in 1979, 1981, 1983 & 1987). In 1985, he also set the Major League record for assists by a first baseman in a season with 184. His record stood for almost 25 years; in 2009, the St. Louis Cardinals' Albert Pujols had 185 assists. In September 1986, Buckner hit .340 with eight home runs and 22 RBIs, while missing just three games in spite of chronic ankle soreness. Dave Stapleton, the Bosox first baseman prior to the acquisition of Buckner, began seeing more playing time as a late inning defensive replacement for Buckner in September and October. Buckner, meanwhile, became the first major league player to wear Nike high-top baseball cleats professionally in an effort to relieve pressure from his ankles. Buckner drove in over 100 runs for the second season in a row, and was a key member of the team that won the American League East by 5.5 games. 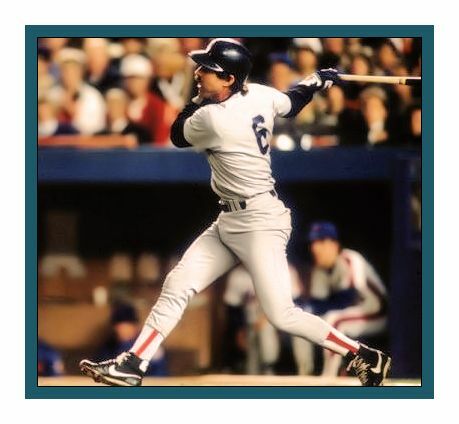 He entered Game five of the 1986 American League Championship Series batting just .111 in the ALCS, and was 0-for-three in the game when he singled to start the ninth inning rally, which was capped off by Dave Henderson's famous home run. He went three-for-six in the final two games, as the Red Sox came back from the brink of elimination to defeat the California Angels, and win the American League pennant. In the World Series, Boston was leading the heavily favored New York Mets three games to two in the when Game Six of the series went into extra innings. For his part, Buckner was batting just .143 against Mets pitching, and was 0-for-5 in Game 6. When the Sox scored two runs in the top of the tenth, Boston manager John McNamara chose to have Buckner take the field in the bottom of the inning instead of bringing Stapleton in as a defensive replacement for the ailing Buckner as he had in games one, two and five. Boston led Game 7 of the World Series 3–0 heading into the bottom of the sixth inning when New York scored three runs off Bruce Hurst (who had been named World Series Most Valuable Player before the Mets' improbable comeback in Game 6) to tie the game, and score three more off Schiraldi in the seventh to take a 6–3 lead. Buckner was two-for-four in the game, and scored one of two runs the Sox plated in the eighth. However, the comeback fell short, and the Mets won their second World Championship in franchise history. Buckner's error epitomized the "Curse of the Bambino" in the minds of Red Sox fans, and he soon became the scapegoat for a frustrated fan base. Buckner began receiving death threats, and was heckled and booed by his own home fans. Meanwhile, he was the focal point of derision from the fans of opposing teams on the road, especially when he faced the Mets in Spring training 1987, and the first time he came to bat at Yankee Stadium during the regular season. The Red Sox released Buckner on July 23, 1987, after recording a .273 batting average, two home runs and 42 RBI through 95 games. 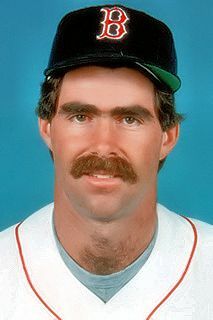 Over the next few years Buckner played for the California Angels, Kansas City Royals and again with the Red Sox. Buckner returned to the Red Sox in 1990 as a free agent, and received a standing ovation from the crowd during player introductions at the home opener on April 9. His return was short lived, as he retired on June 5 with a .186 batting average, one home run and three RBIs. After retiring, Buckner stayed involved in baseball, coaching six years for the Toronto Blue Jays and Chicago White Sox. He and his family moved to Idaho, where Buckner also got involved in real estate and other business dealings. Among his hobbies are golf, fishing and hunting. On April 8, 2008, Buckner threw out the first pitch to former teammate Dwight Evans at the Red Sox home opener as they unfurled their 2007 World Series championship banner. He received a four-minute standing ovation from the sell-out crowd.